The first thing to note about the Double System is that it consists of four components: Double Fixture, Mounting Plate, Ballast and Extension Cable. It was designed in this manner to allow the greatest flexibility when working on film production where the gaffer and DP are constantly being challenged to light unique locations and problem solve at a moment's notice. 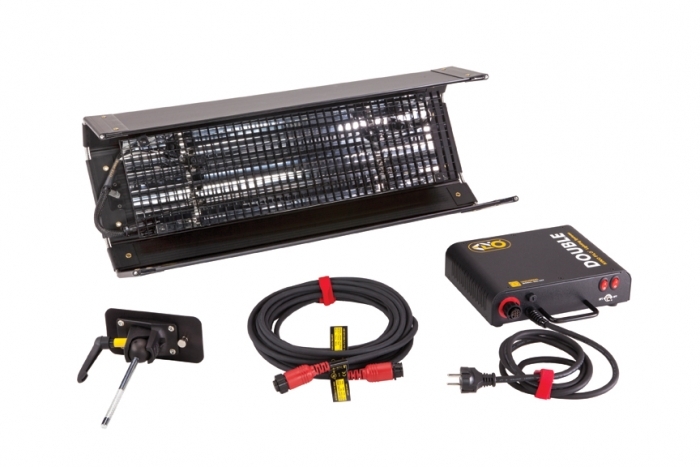 Great for key lighting and fill, the 2ft Double is one of the most versatile products in the Kino Flo product range and was one of the first products developed by Kino Flo more than 25 years ago.